Good day DIY lovers! Are you getting ready for the holidays? 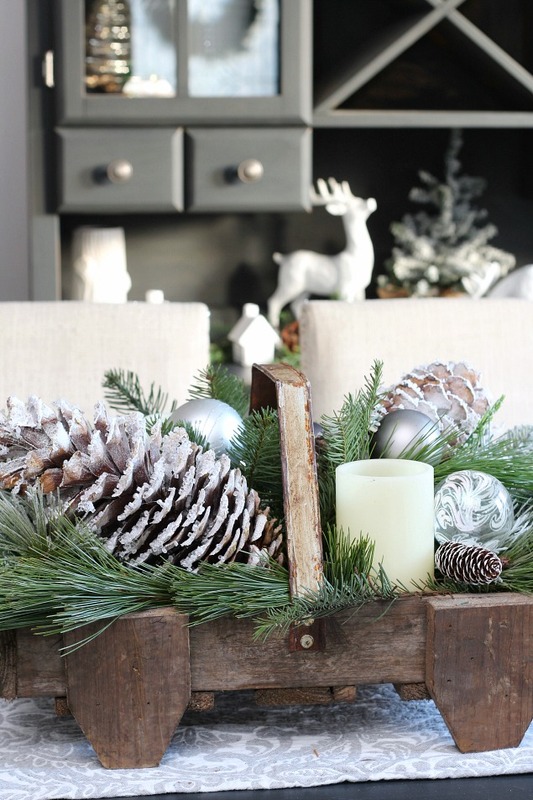 It is time to put up some winter-inspired decorations in your home. I know that you love making your own unique and outstanding decor, so that’s why I bring you this super helpful post. 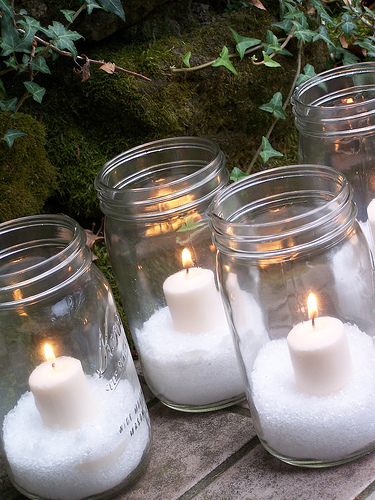 Making some Surprising DIY Snow Decorations With One Household Ingredient is so easy! I bet that you are so curious to find out which is the special ingredient! You’ve guessed it- it is epsom salt. Read on and find out how can you use this cheap and available ingredient in DIY-ing! You can also sell your DIY projects on Internet and earn some money too! Visit amazon marketing agency and learn how to make money from your hobby. Votives are a nice decoration for any home, as they will add warmth. To make your own DIY ones, use an empty jar. This one is so easy. 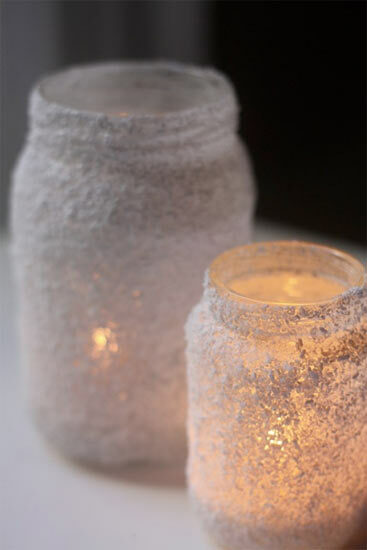 The trick is to stick epsom salt on the jar, which will give it the nice snowy effect. Keep in mind that you must use transparent glue, or white glue that turned transparent when dried. Otherwise, your jar will look messy. When you cover the jar, sprinkle it with salt. Do not touch it until completely dry. 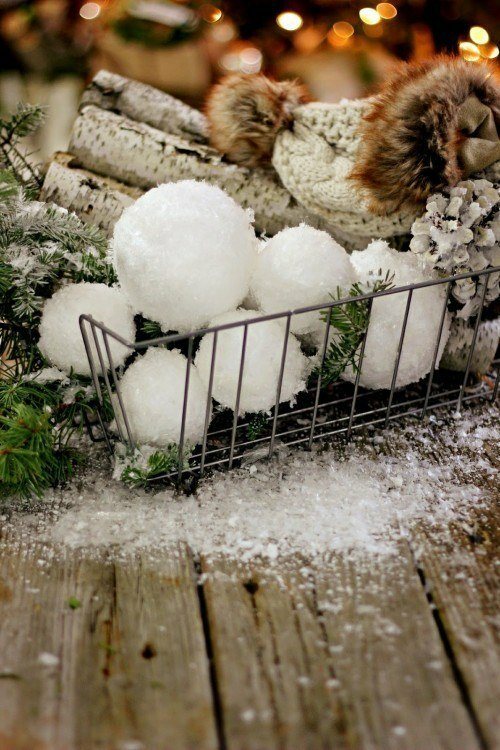 If you think that snowballs would be a nice addition to your home decor, do not hesitate to make them yourself. Use some Styrofoam balls for this project. Cover with glue and roll them in Epsom salt. The effect is magnificent! To add the white crystal touch, do the trick with Epsom salt. 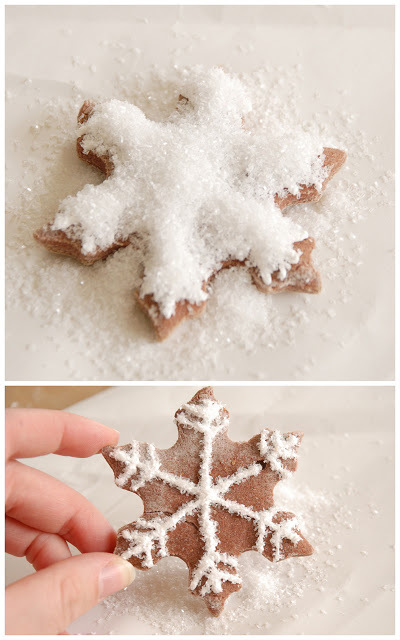 Your salt dough ornaments will look way better now. If you are in need of large decorations but don’t want to spend too much money, go for this one. Get a bag of Epsom salt and fill an empty glass bowl. 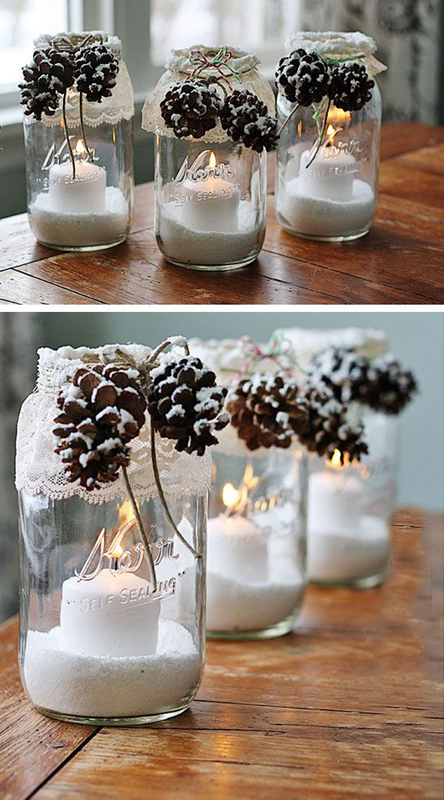 You can do this with a big jar also. Add your decor inside and it is done! 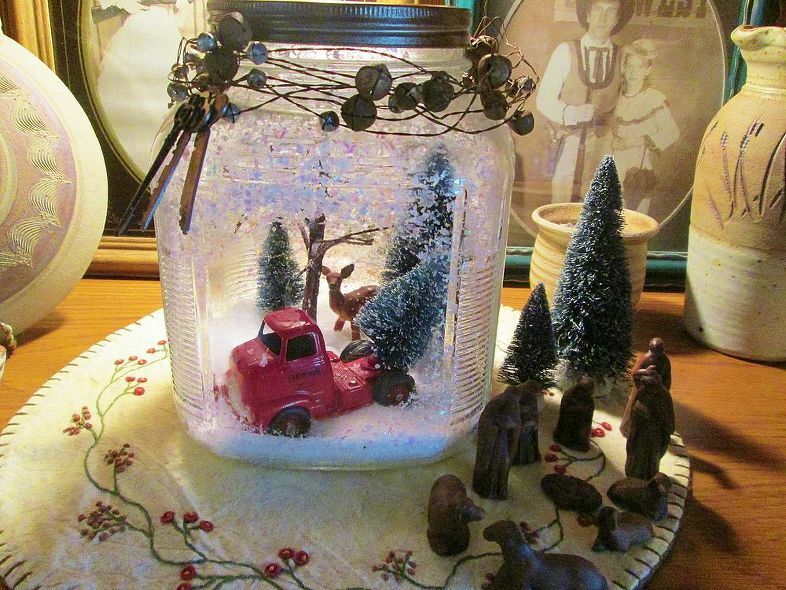 If you love Snow globes, then why not make one by yourself? Take a look at this one. It is basically a large jar that has the bottom covered with a layer of salt. And you will love the way the decorations are bond together to create a story. Be creative and fins the one that suits your home. 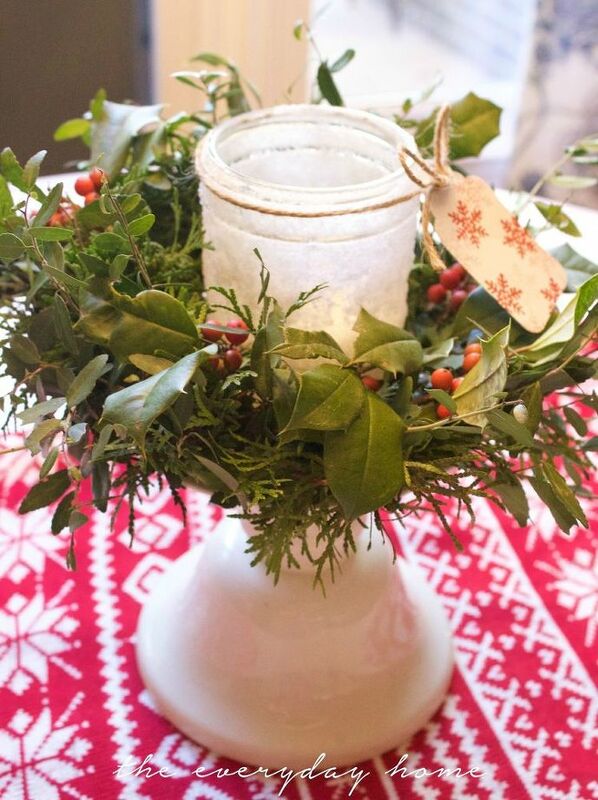 A cool centerpiece is a must for the holidays. Do not forget this when making your own DIY Snow Decorations! Wondering how to do this one? I will give you a helping hand. 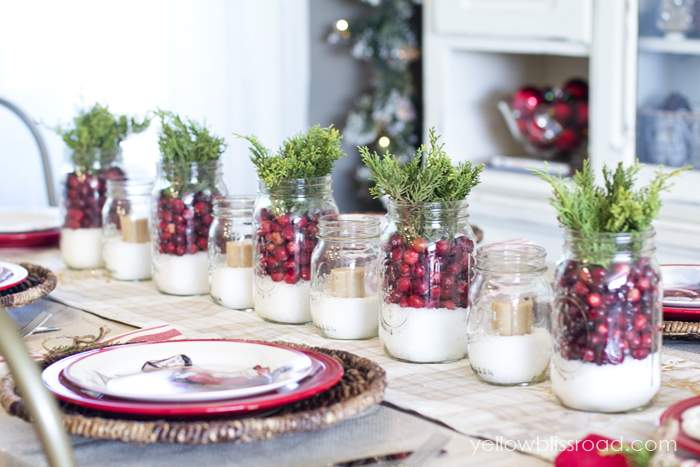 1.For a rectangular table, you can spread a few jars in the middle. 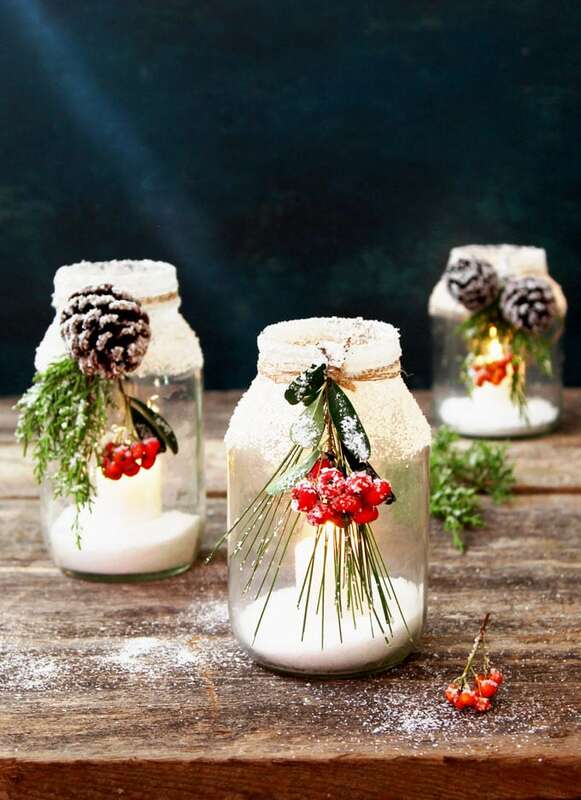 Fill each with Epsom salt and decorate with cranberries and fresh branches. 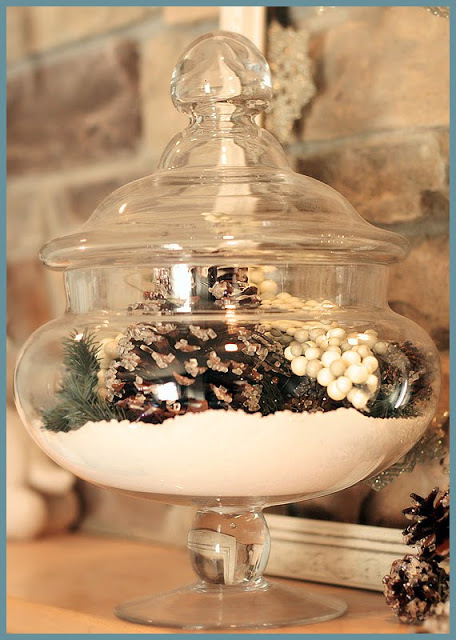 2.Or, you can use a cake stand to elevate a single jar and surround it with branches.This will work nice for a round table.